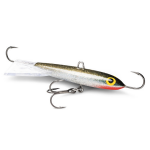 The Zero Twist or ZT Minnow is greatest innovation to what are known as balance style or horizontal jigging minnow type baits to come along in my lifetime. 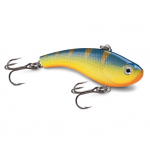 It has the cosmetic appearance of an ultra high dollar crank bait at a price any ice fisherman can afford. 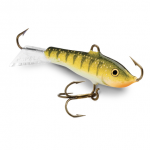 The ZT Minnow gets it's name from the swivel that is molded through the center of its body. 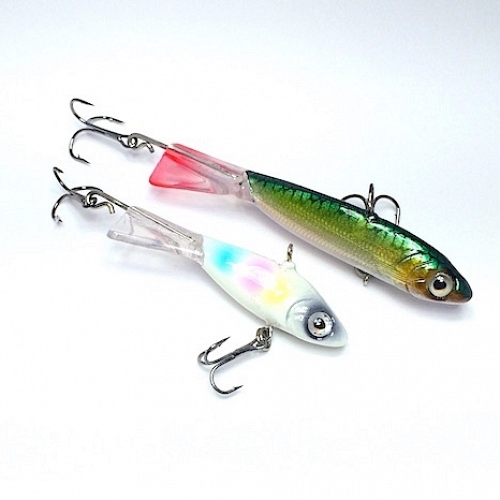 This unique design allows the ZT to swim out when jigged up and return to center without twisting your line. 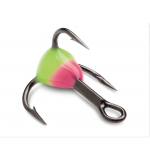 The opposite side of the swivel attaches to a premium owner treble hook that is also free to spin. 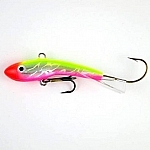 Since the ZT Minnow doesn't twist the line when you jig it, it's swim pattern is more natural as it darts out and returns on more of straight line. 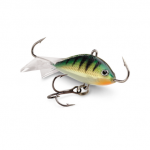 It is also much less prone to spinning when you pause the bait after jigging. 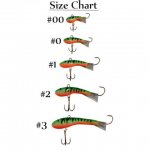 This gives any fish chasing the bait a much more realistic target. Nothing swims as natural as the ZT. 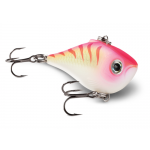 The belly of the ZT has a relatively wide, hydrodynamic, stable belly shape that flows into the heavy duty tail fin. 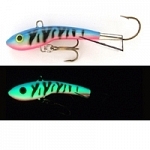 The tail of the ZT is part of the body of the lure. So, it is much more durable than any of the all-lead jigging lures with glued on tails. 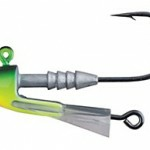 The tail also sports an ultra heavy stainless wire and additional tail gunner treble hook.